This dish is sort of an Asian-fusion that I came up with. East meets The South! These ribs are cooked in a slow cooker and finished off on the grill. The ribs are sticky and sweet, the fresh peach salsa has a little kick, and the sesame jasmine rice pulls it all together. Cut ribs into single-rib portions. Place ribs in your 4-quart slow cooker. In a medium bowl, combine peach preserves, onion, peppercorn and garlic rub, bourbon, mustard, vinegar, salt and cayenne pepper; pour over ribs and stir to coat. Cover and cook on high setting for 4 hours. Remove ribs from cooking liquid and place on a sheet pan. Cover with aluminum foil to keep warm. Pour cooking liquid in a medium sauce pan. Skim off as much fat as you can. Bring to a simmer. Simmer for about 20 minutes, or until slightly thickened. While sauce is reducing. Heat up the grill. When sauce is ready, pour over ribs. Grill for about 2-3 minutes on each side. Combine all the above ingredients in a medium bowl. Stir to combine and refrigerate until ready to serve. Prepare Jasmine Rice as package directs. Add 1 Tbsp. chopped fresh chives and 1/2 to 1 tsp. sesame oil. Top with sesame seeds. Turn Off The Oven! - Gooseberry Patch Blog Hop! 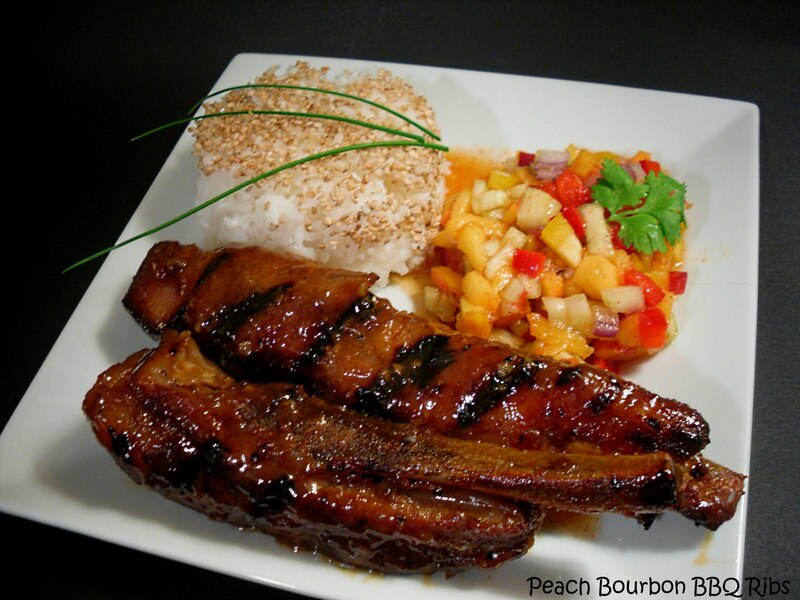 Peach bourbon with ribs? You know I am all over that. 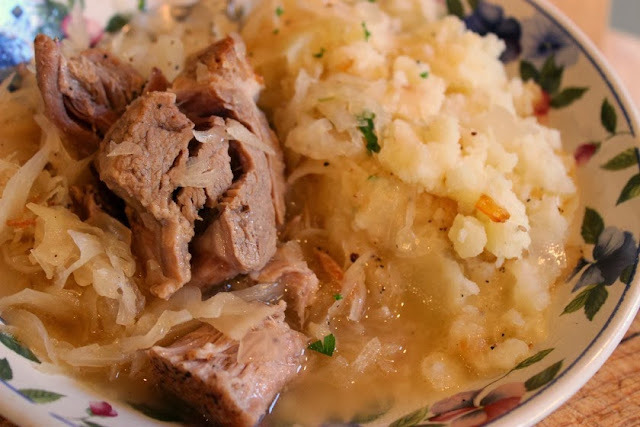 In the crockpot is great and easy. 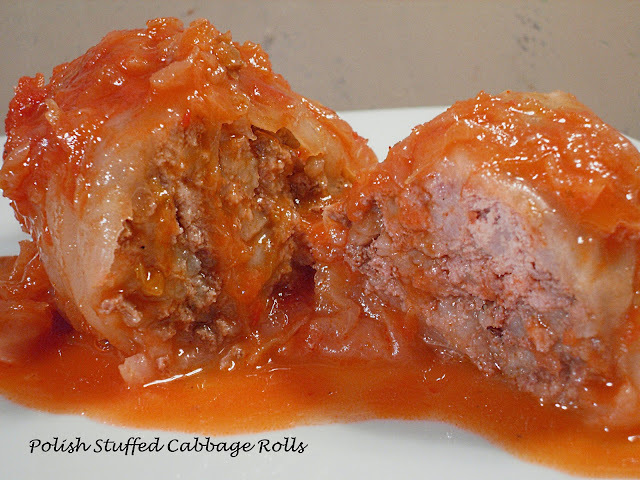 Oh these look so good! I love doing ribs in the crock pot. They're so tender. What's Saucy Susan? Thank you for your visit to my blog. Your blog is just beautiful! I love your bright photos. A lot of work!! Thanks for the Gooseberry Patch link up! :) Have a wonderful day! Hi, Is this for only Gooseberry Patch recipes? I would like to link up but I am not sure what you are asking. Thanks.